Sell wrecked, broken, scrap or old car in Melbourne and you want to get rid of your any Volkswagen car, van, truck, bus, ute or 4×4 for cash then call to 03 9132 5070. We are professional and licensed Volkswagen wreckers in Melbourne. We buy all models of Volkswagen for wrecking and we pay instant cash on same day. Doesn’t matter if your Volkswagen vehicle is used, old, damaged, scrap or unwanted, we’ll still buy it for wrecking with our free removal service in Melbourne. We offer good money for all Volkswagen cars, vans, utes, trucks and 4wds. We welcome Volkswagen in any condition, make, model and age with free pick up, towing, removal in Melbourne. That’s why we are best in Volkswagen wrecking. You get paid on the spot and on the same day with our fast and reliable cash for Volkswagen car wrecking service. Our removal facility is free throughout the Melbourne. 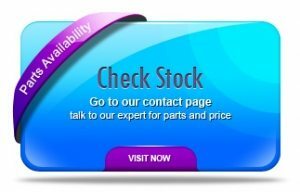 If you’ve any model of Volkswagen car, van, truck, 4×4 in Melbourne that is old, used, junk, scrap or damaged with internal and external mechanical issues. Then don’t spend dollar to get fixed your Volkswagen vehicle. Wreck these Volkswagen vehicles with our Volkswagen wreckers service and get instant cash for it. After getting details of your Volkswagen vehicle, we can pay up to $5,999 for wrecking any Volkswagen vehicle regardless of your location of your vehicle. For us, every Volkswagen vehicle is important for wrecking. And that’s why we welcome all Volkswagen of any model. If you are thinking to wreck your any Volkswagen car, then we are here to serve you. We deal with all sort of used and old Volkswagen car models. We are at number one in paying top cash for wrecking all Volkswagen vehicle models cars. We pick up Volkswagen vehicles from all areas and surrounding suburbs of Melbourne. Discuss with us about your Volkswagen and get cash on same day in your hands. To get free price quote, call now on 03 9132 5070. Following isme Volkswagen car models that we wreck in our yard. We pay up to $5,999 instant cash for all Volkswagen Vans including free pick up, removal and documentation from all suburbs of Melbourne. If your Volkswagen van is used, old, scrap, junk and you want to get rid of it. We are ready to pay you cash on spot for your unwanted Volkswagen van in Melbourne. Call today and get a free price quote via phone 03 9132 5070. Following isme Volkswagen van models that we collect and wreck in our yard for cash. We buy all Volkswagen 4wd in any condition and anywhere in Melbourne. We pay decent amount of money for all Volkswagen 4wds in Melbourne. You can get up to $5,999 cash on spot for wrecking your Volkswagen 4wd at your own location. You don’t need to tow it or drive it to our locations. Our pick up and removal service is free of charge if you are in Melbourne. Get cash today with instant calling on 03 9132 5070 and sell your Volkswagen 4wd to us for wrecking. Here are some 4wds that we love to buy for wrecking with top money for it. Looking for quick cash in your hands for your old, scrap, damaged, or junk Volkswagen truck on same day. 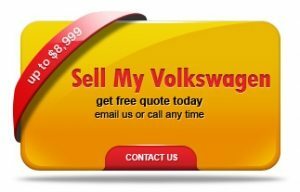 Then call us on 03 9132 5070 and sell your Volkswagen truck for wrecking. Our team will come and give you cash on spot after inspecting your Volkswagen truck. We buy every model of Volkswagen trucks regardless of your location and condition of Volkswagen truck. Following isme Volkswagen truck models that we buy and give cash for them on same day. With our Volkswagen wreckers service, you don’t need to spend any money for vehicle towing from your place to our wrecking yard. We already have everything for your Volkswagen vehicle pick up and removal in Melbourne. And we don’t charge for Volkswagen vehicle removal. This is a bonus from our side to all Volkswagen vehicle owners so that they can get good money without any extra charges for their old, damaged and unwanted Volkswagen vehicles. So, if you have a Volkswagen vehicle that is dead, not drivable, scrap, damage or junk. Then you can get our free Volkswagen wreckers vehicle removal. Call today for more details on 03 9132 5070. Read more about our free car removal service. We buy and remove all old Volkswagen cars, vans, trucks, utes, 4wds for dismantling. You Volkswagen vehicle may be old, damage, scrap, junk. We dismantle all models after paying top amount in dollars to our Volkswagen vehicle owners. Our process of buying Volkswagen vehicle is very simple. You call us, we come to your location, we pay the amount and then we remove your unwanted Volkswagen vehicle from any location in Melbourne. We are LMCT license holders and we buy, wreck and dismantle all sort of Volkswagen from all suburbs of Melbourne. Below is the map which shows the areas where we pick up Volkswagen vehicles for wrecking.